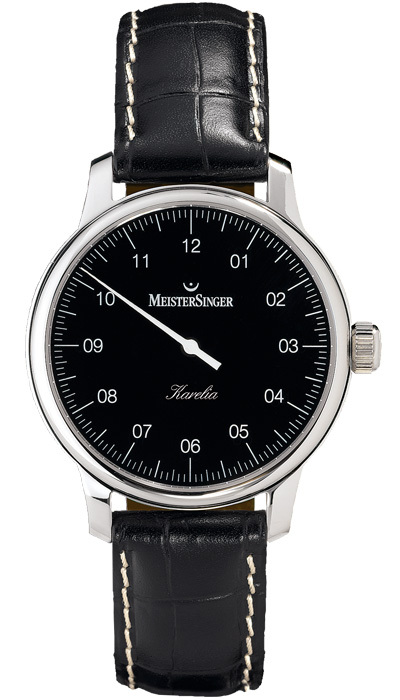 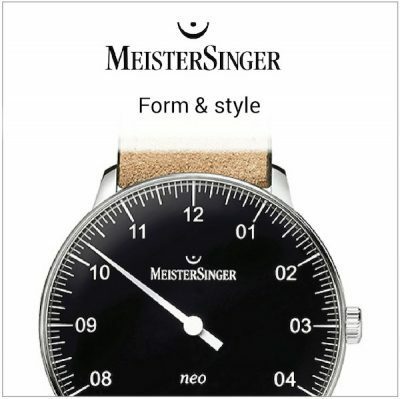 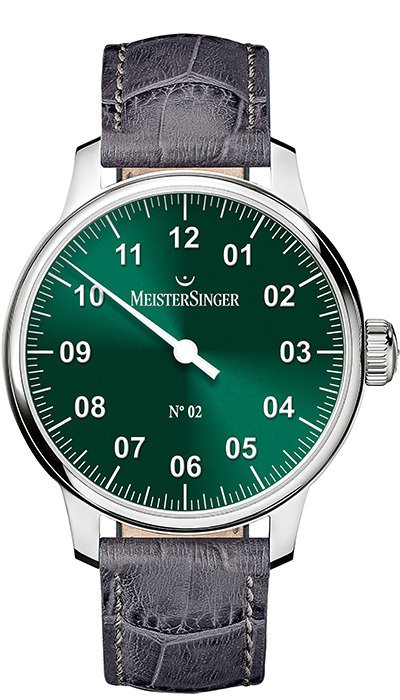 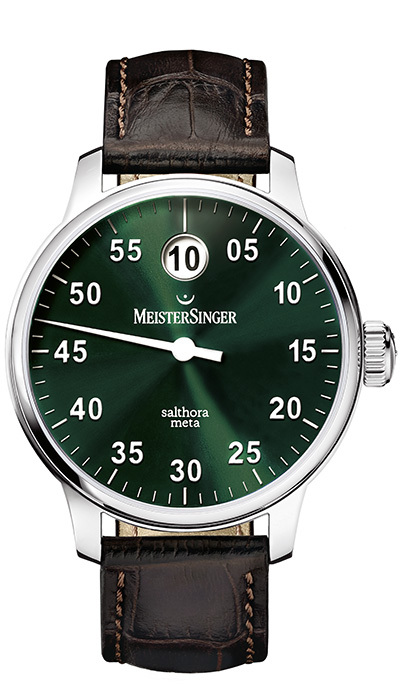 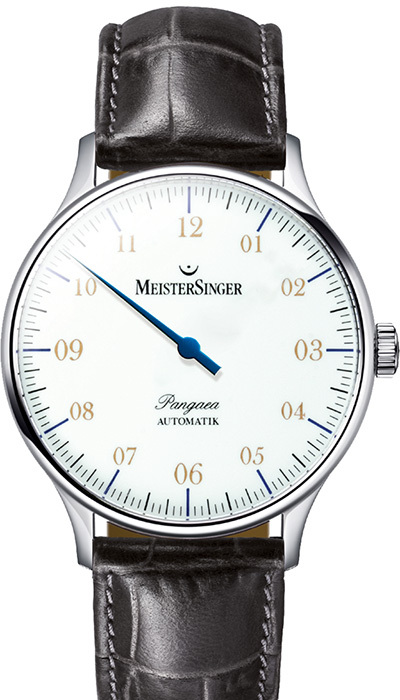 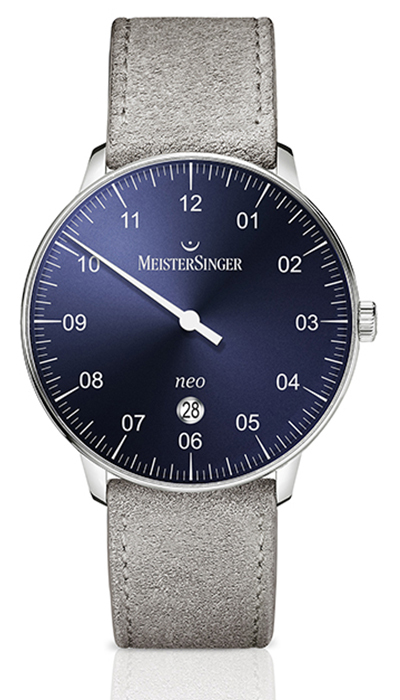 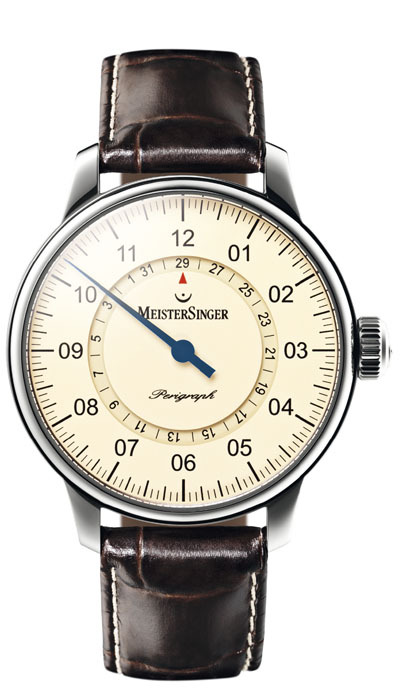 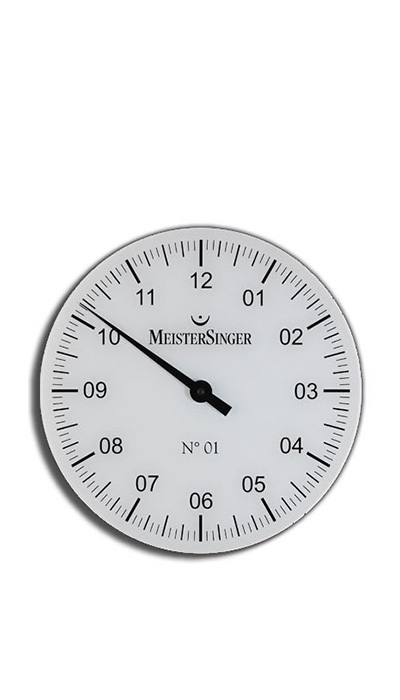 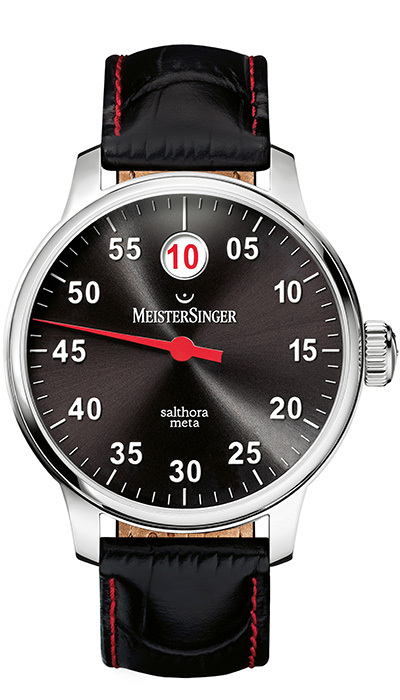 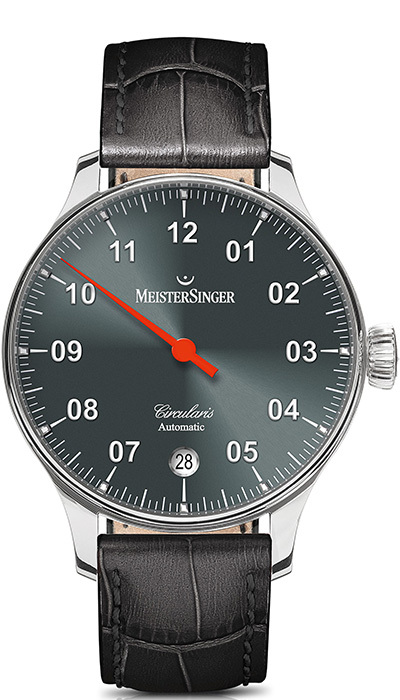 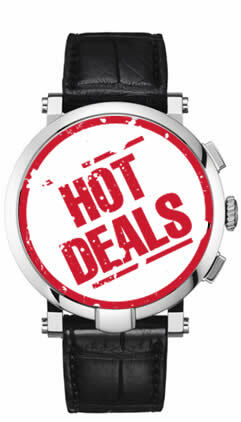 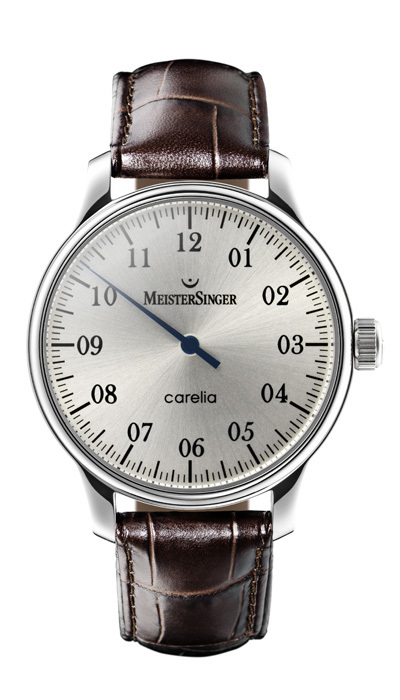 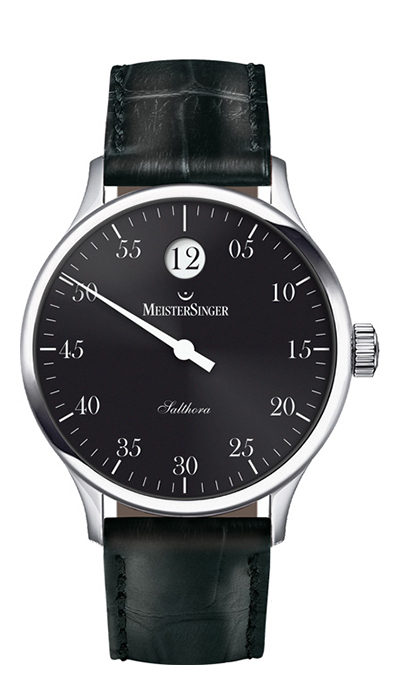 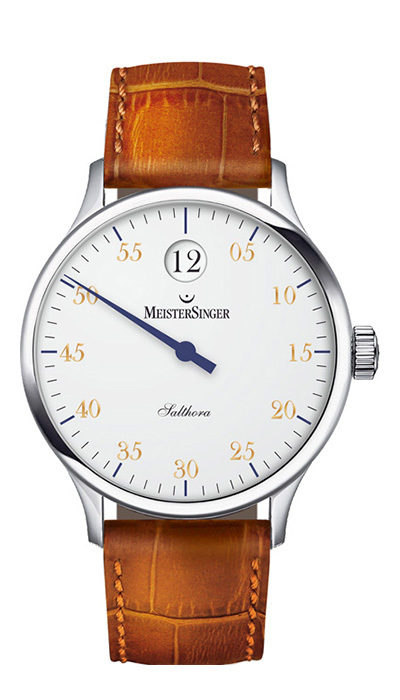 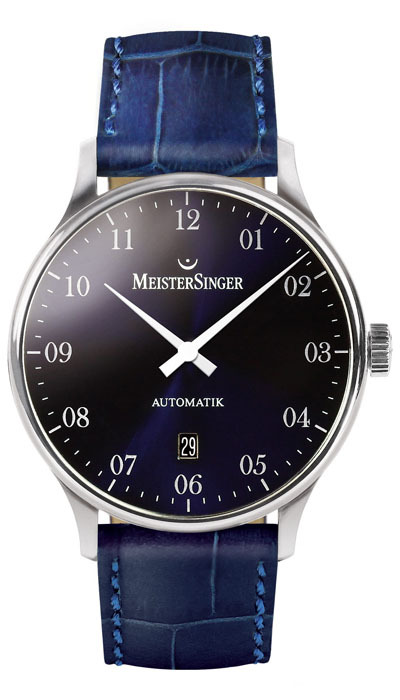 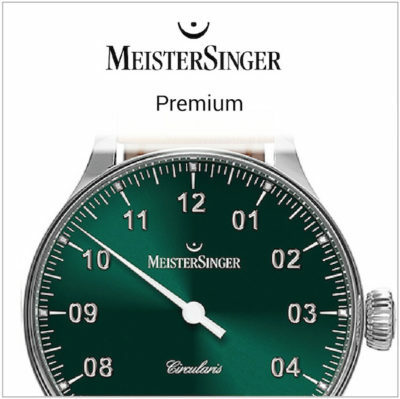 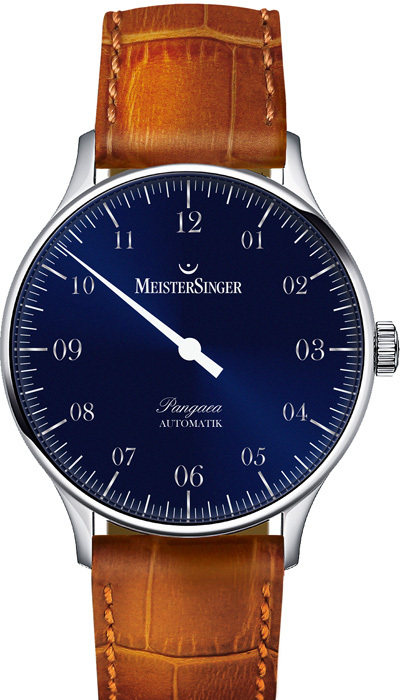 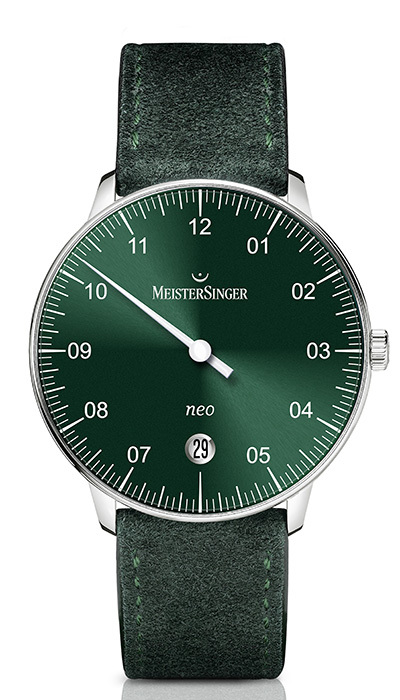 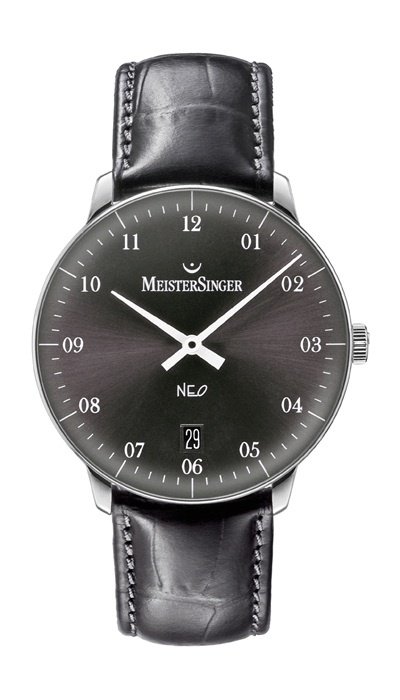 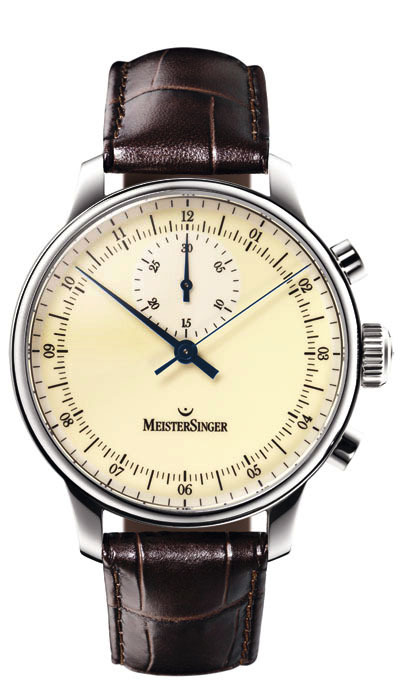 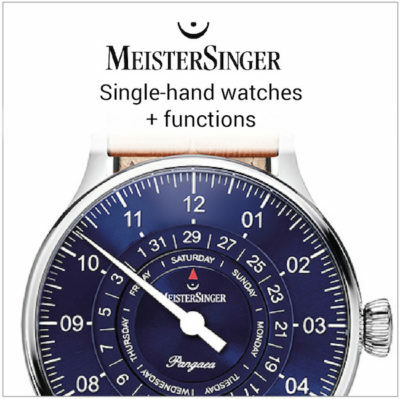 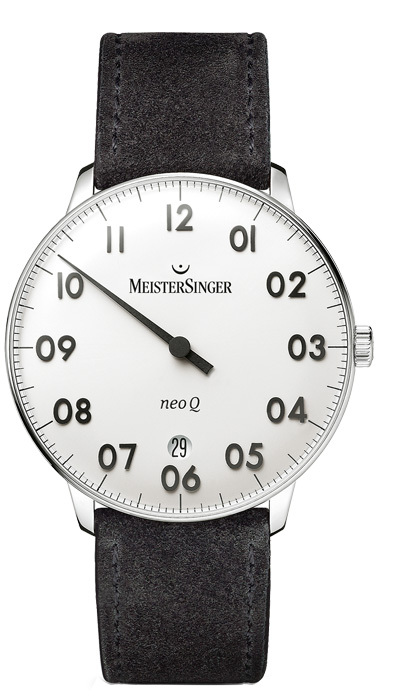 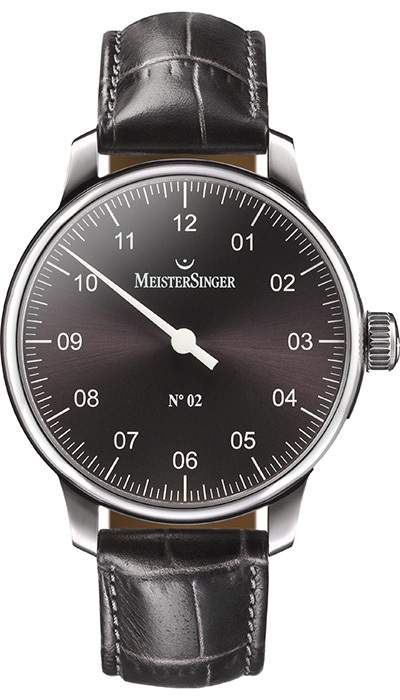 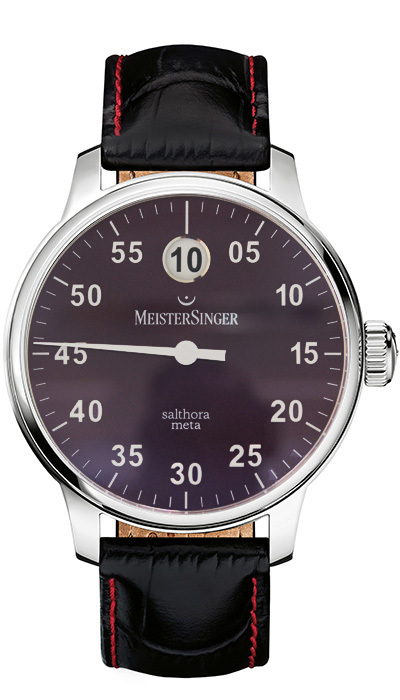 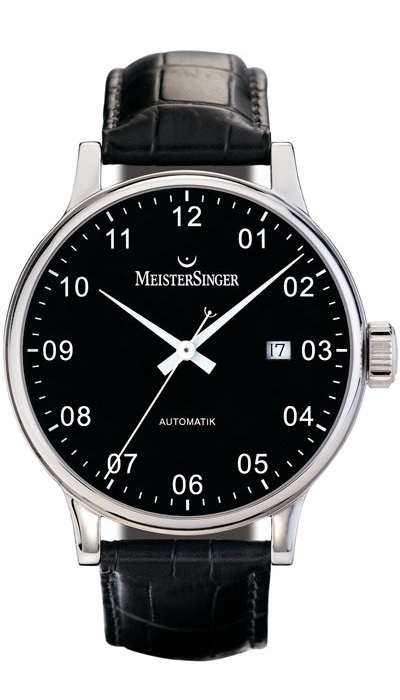 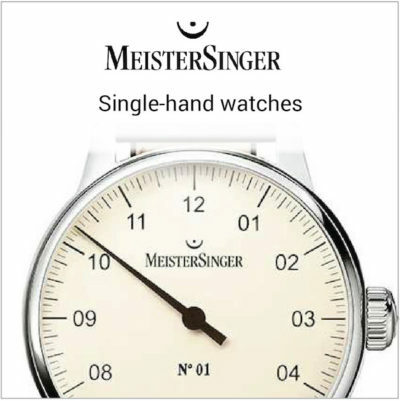 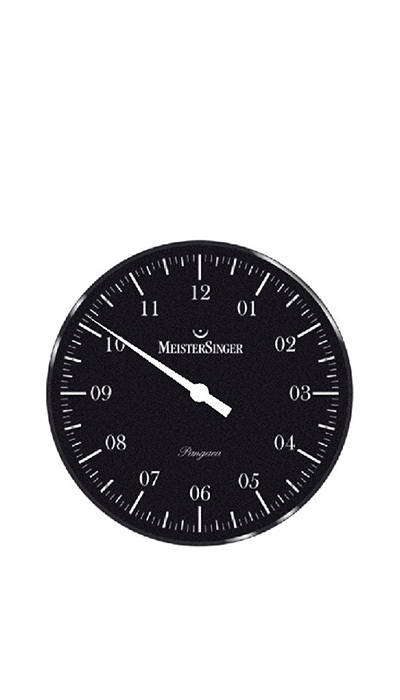 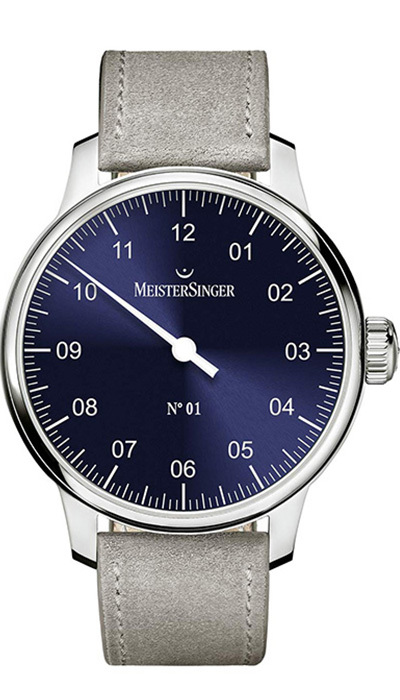 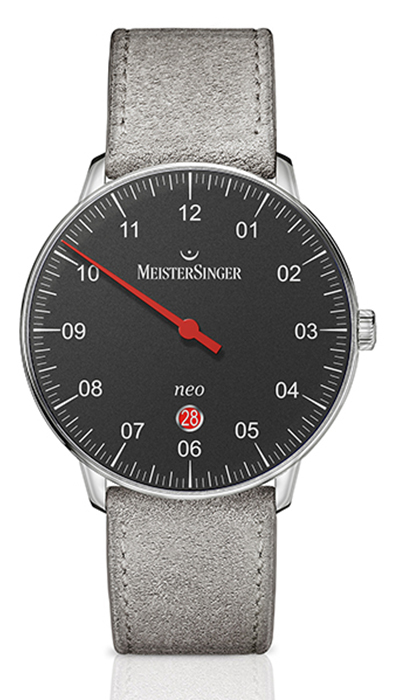 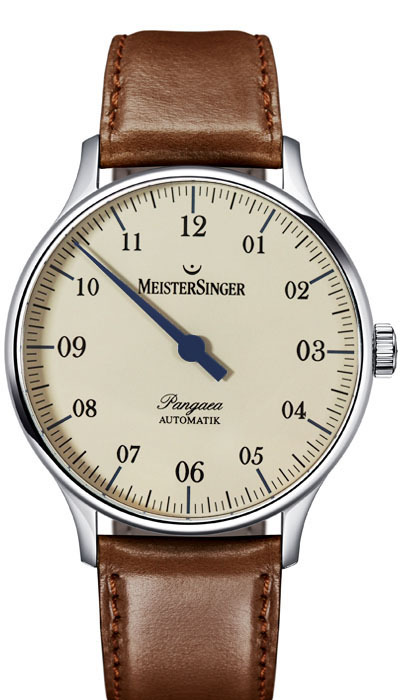 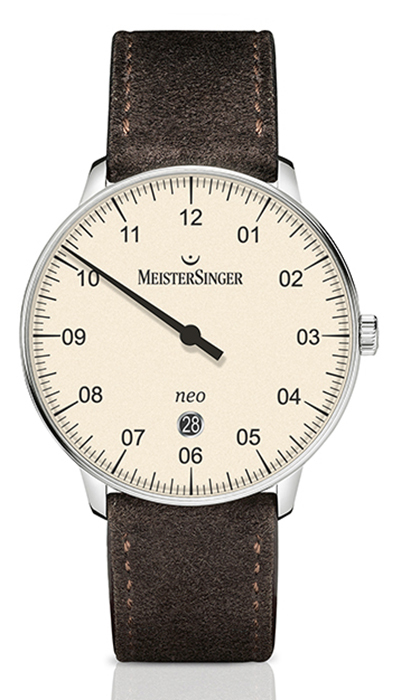 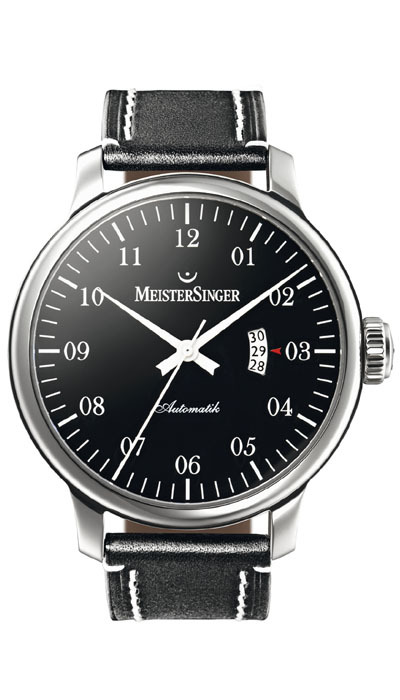 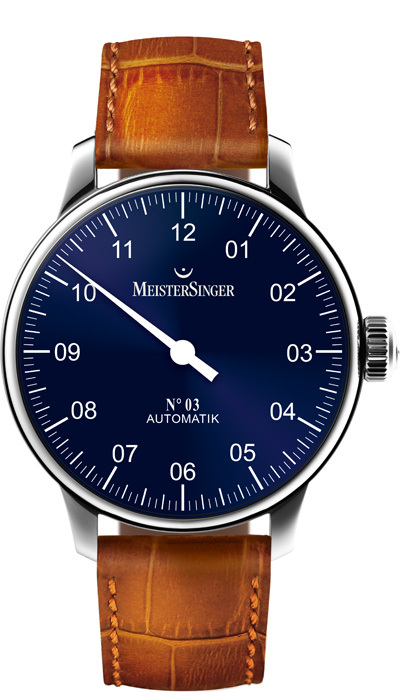 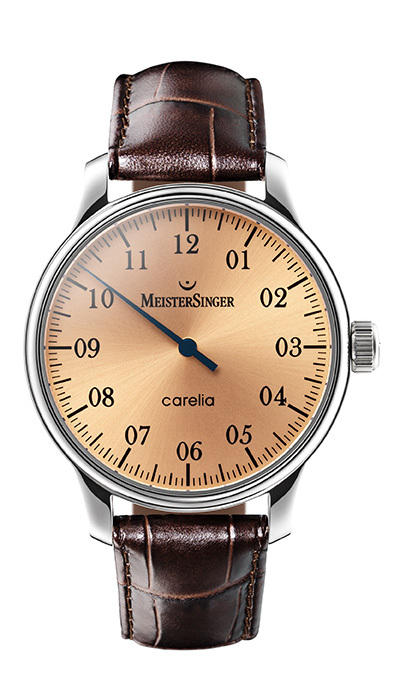 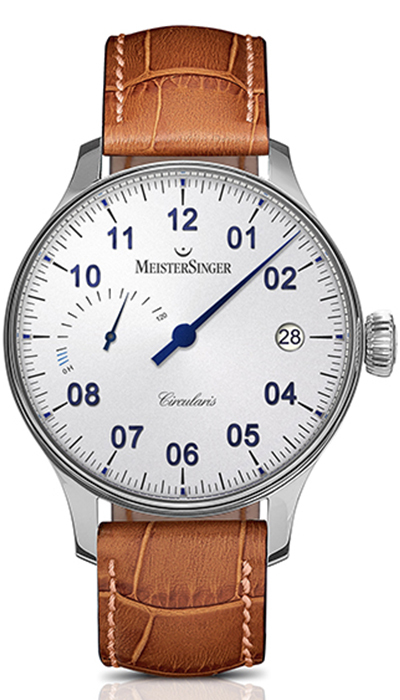 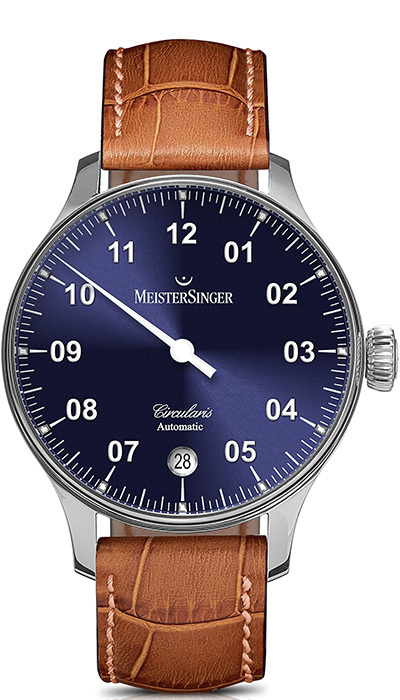 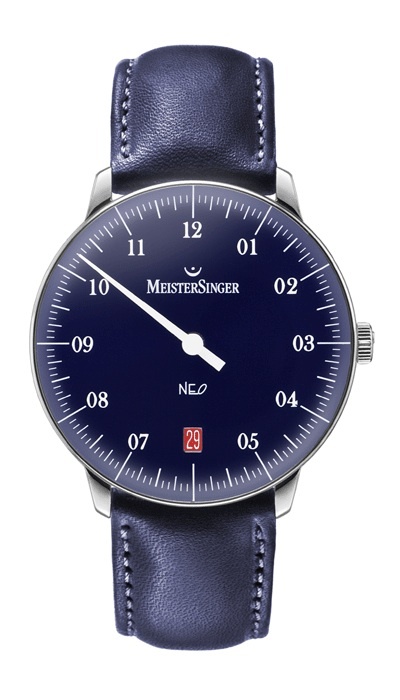 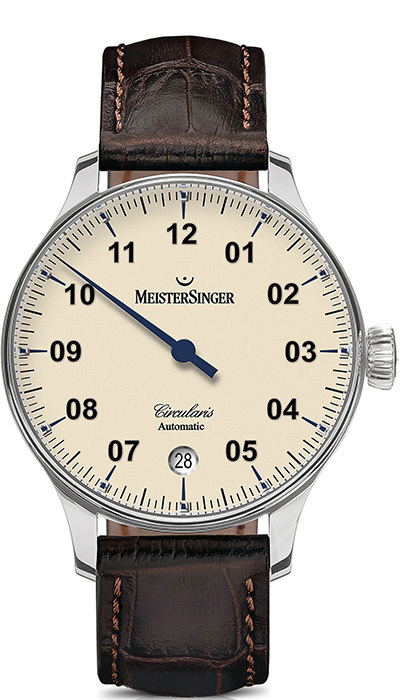 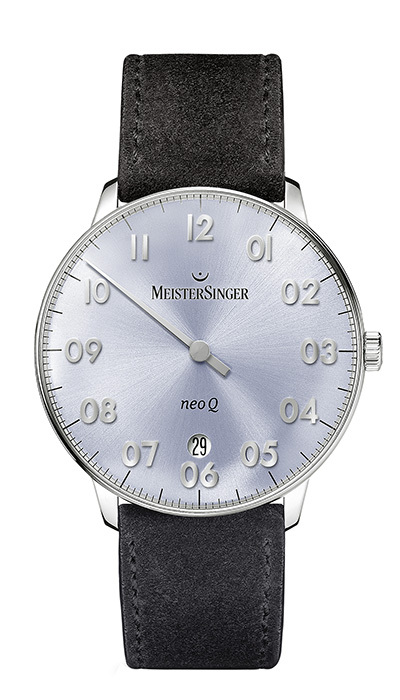 MeisterSinger is renowned as the specialist in single-handed watches. 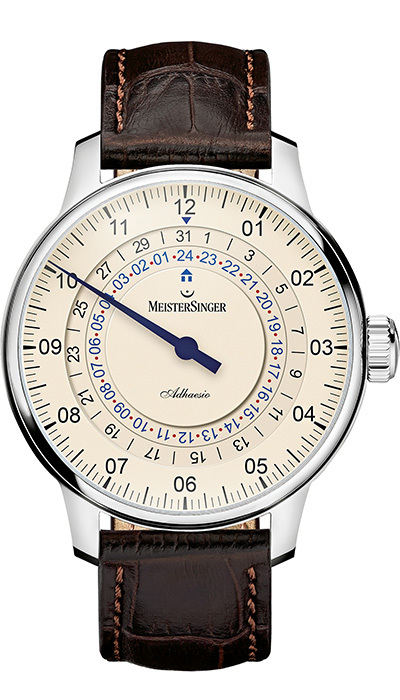 Because life is moving faster and faster and we adapt to the increasing pace of time, MeisterSinger seeks to contradict the ‘rush through life’ with its unique interpretation and presentation of the classic wristwatch. 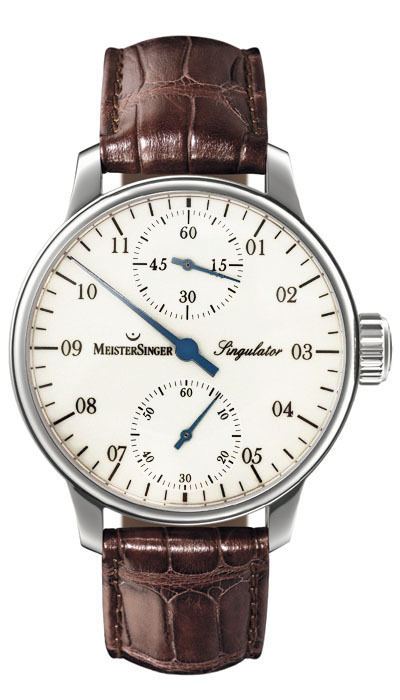 After all, timekeeping began with a single hand – sundials, the first church steeple clocks and Breguet’s subscription watches. 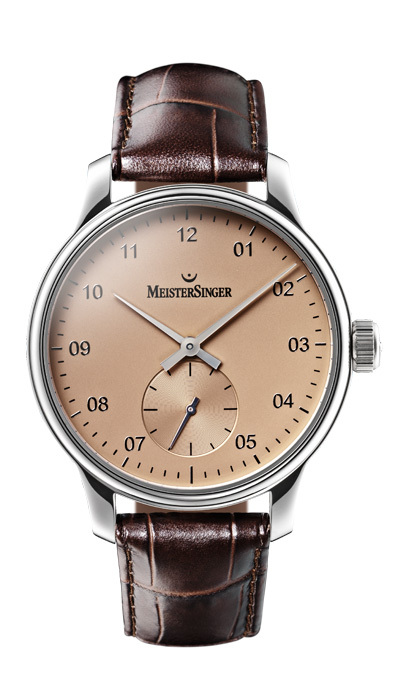 In this sense, MeisterSinger watches dispense with superfluous decoration and complications affording them an unparalleled clarity of appearance and a minimalistic air. 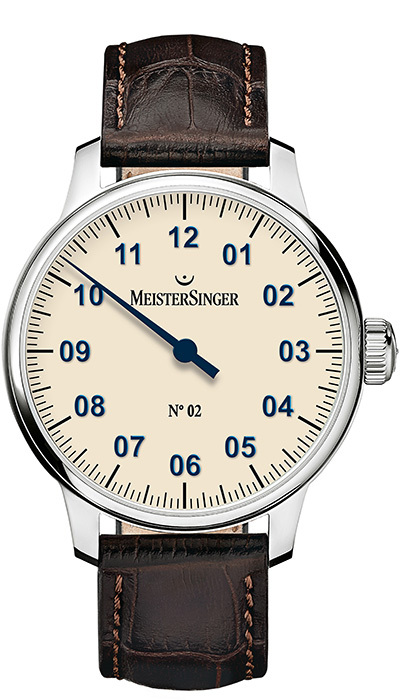 Thanks to the accurate single hand setting and placement of the numerals on the dial, it is easy to read the time to five-minute precision. 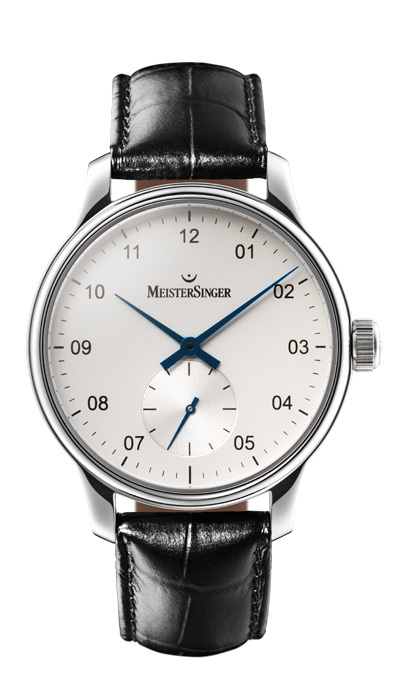 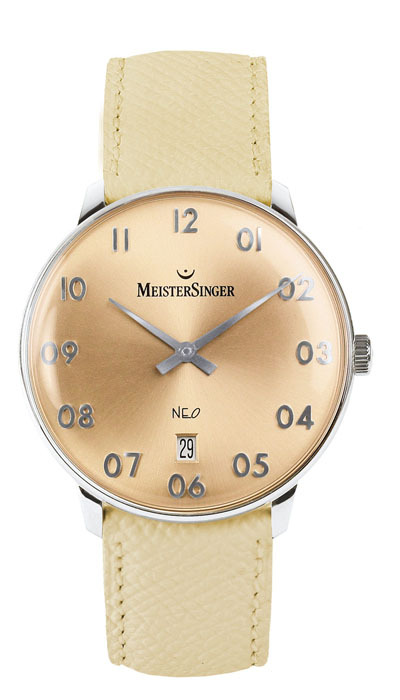 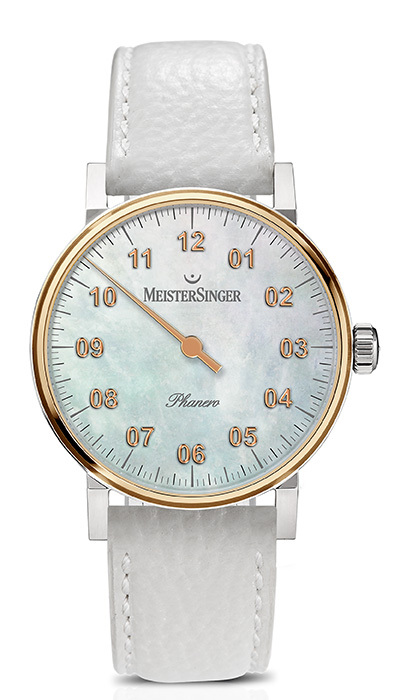 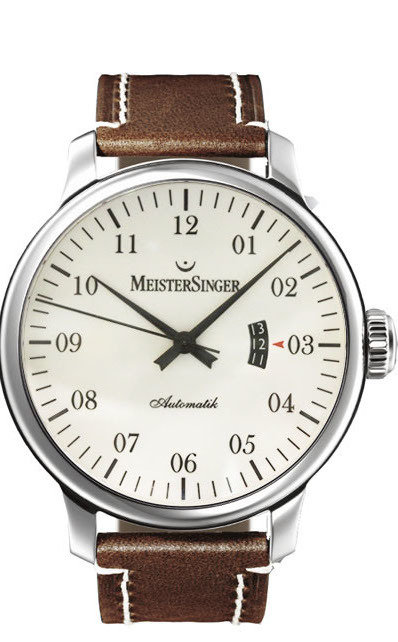 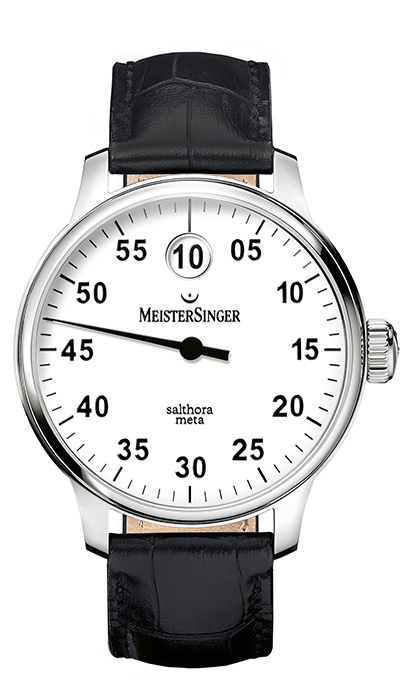 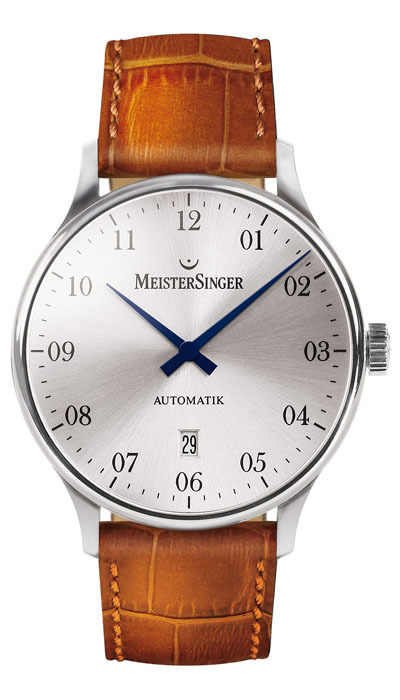 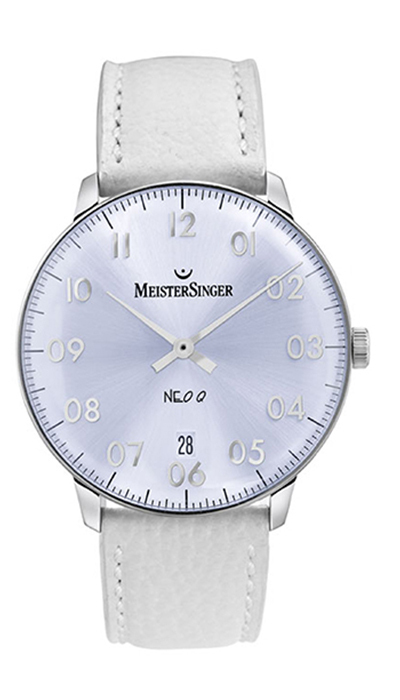 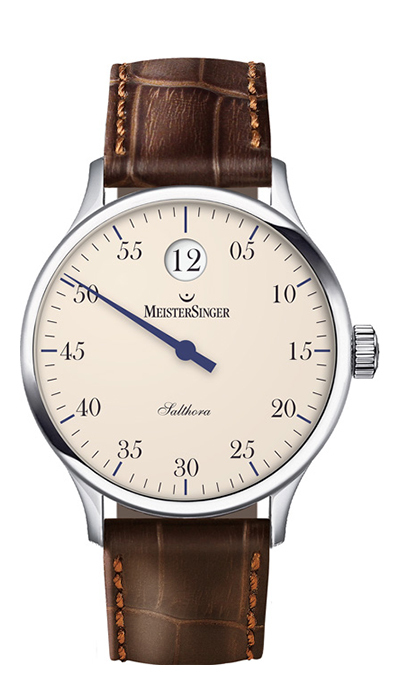 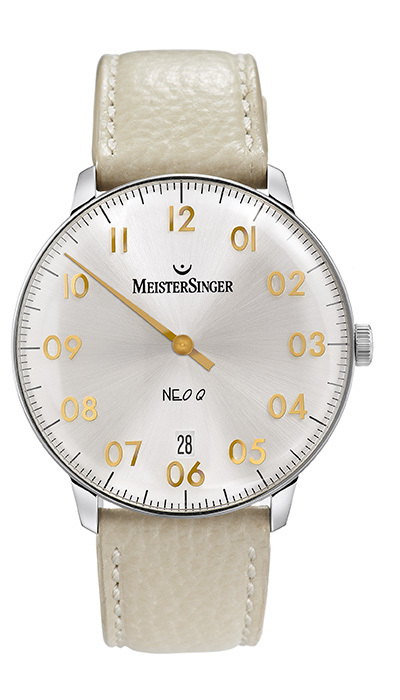 MeisterSinger watches are designed to teach us to be relaxed with time once again.